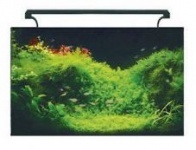 Aqua One AquaNano 30 aquarium is a beautiful, easy-to-maintain tank for hobbyists of all levels of experience. Aqua One AquaNano 40 aquarium is a beautiful, easy-to-maintain tank for hobbyists of all levels of experience. Aqua One AquaNano 60 aquarium is a beautiful, easy-to-maintain tank for hobbyists of all levels of experience. Aqua One AquaNano 60 BOW-FRONTED aquarium and cabinet in black is a beautiful, easy-to-maintain tank for hobbyists of all levels of experience. 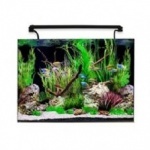 Aqua One AquaNano 80 aquarium is a beautiful, easy-to-maintain tank for hobbyists of all levels of experience. Aqua One AquaNano 80 BOW-FRONTED aquarium and cabinet in black is a beautiful, easy-to-maintain tank for hobbyists of all levels of experience.